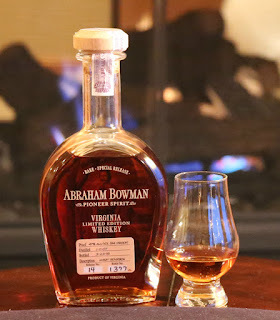 Smith Bowman Distillery is a quaint little operation located in Fredericksburg, VA. They produce a variety of spirits, and release multiple rare whiskies each year; past rare releases have been a barrel proof, a coffee flavored, and a high rye whiskey. They recently released their 14th rare release, a wheat bourbon, in March 2016. Nose: A culmination of flavors reminiscent of a vanilla ice cream float. This is followed by a hint of corn and a brush of baking spices. Taste: Creamy with caramel chews, vanilla, and cinnamon. Fresh baked wheat bread, a slight spice, and a tinge of saltiness. Finish: Extremely quick with a dry saltiness and toasted oak. Conclusion: This is a nice bourbon but it didn't meet my expectations. At $70, you're paying for the rarity and not the quality of juice inside the bottle. The wheat is expressed more as a bread-heavy note rather than a sweet spice. It's unique but not what I was expecting from a wheat bourbon. It's worth a try, but not a buy...cheers. 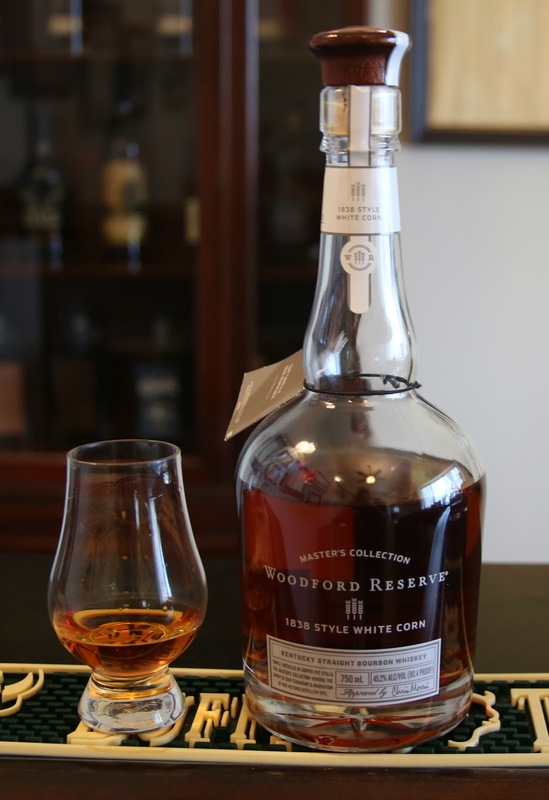 1838 Style White Corn is the 10th release (fall 2015) in the Woodford Reserve Masters Collection series. These limited offerings haven't been known to blow our socks off, but as a Woodford Reserve fan, I'm always interested in tasting them. This particular release uses white corn instead of the typical yellow corn, allowing for a sharper whiskey with a slightly lighter body. Nose: Delicate with a distinct kettle corn note. It’s sweetened with vanilla syrup, cocoa powder, and apples. There is a slight saltiness to it along with a hint of cinnamon spice. Taste: Kettle corn and malt-grain sweetness. Salt water taffy has a major influence on the palate, followed by a subtle white pepper and smoke flavor. Finish: Medium in length with lingering grain sweetness. Conclusion: Cats out of the bag that I’ve always been a Woodford Reserve fan. All of their whiskey shares a uniquely identifiable and enjoyable profile, so spending $100 on an annual Master’s Collection bottle isn’t going to ruffle my feathers. However, if you are trying to find the next best bang for your buck bourbon, you may want to pass on 1838 Style White Corn. It delivers with the unique Woodford profile, but its more one dimensional and lighter than Woodford Reserve Distiller's Select. I don’t recommend investing in a bottle, rather find it at a bar or get your hands on a sample; it’s absolutely worth trying. Normally found on the bottle shelf, Rebel Yell isn't a name generally associated with high quality spirits. Since acquiring the brand, Luxco has introduced a variety of premium whiskeys in an effort to revitalize public perception. This fall, Rebel Yell single barrel hit the market in limited quantities, and you’ll have to reach for the top shelf this time to find it. 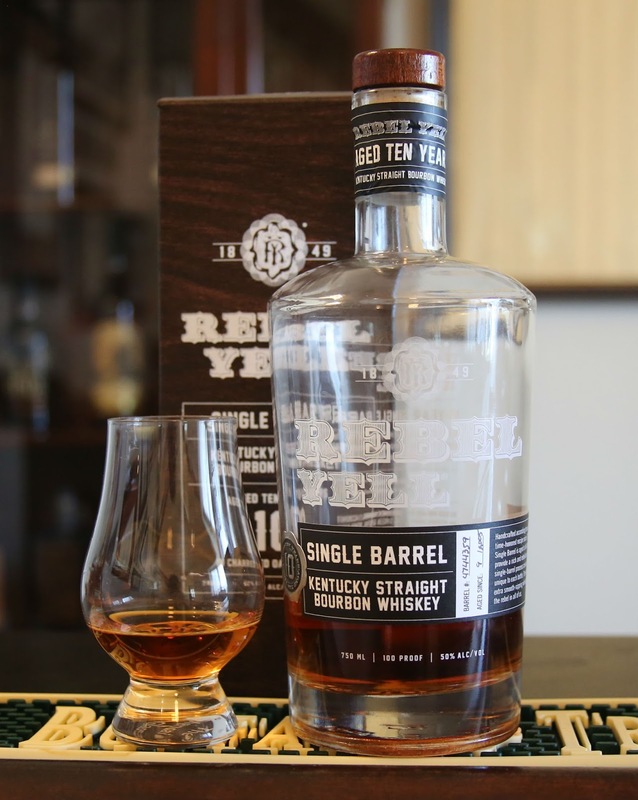 This 10 year, single barrel offering continues the tradition of using wheat instead of rye; sourced by Heaven Hill Distillery, we can assume it’s the Larceny mashbill. Nose: This effortlessly identifies itself as a full bodied whiskey. Sweet corn, sugar cookies, and caramel combine for a robust sweetness. A heavy nuttiness, cinnamon, and tobacco spice mingle pleasantly to form a sophisticated aroma. Taste: Velvety smooth with an initial touch of maple syrup, cinnamon, and peanut. This is followed by a healthy amount of tobacco spice on the back end. A distinct herbal tone adds complexity for a well-balanced bourbon. Finish: Medium in length with sweetness and tobacco. Conclusion: I have no doubt this single barrel offering is going to change the way the brand is perceived. The well balanced, full bodied flavor fills a void in the current market of hard to find wheated bourbons. Appropriately priced at just under $50, it’s not going to cost you an arm or a leg either. 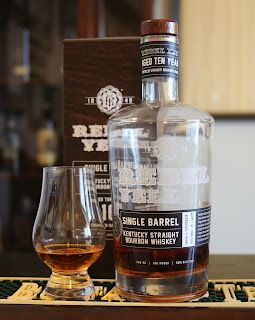 I definitely recommend getting your hands on some Rebel Yell single barrel bourbon.